Too bad about the fire, but maybe now we wont have dozens of illegal immigrants and criminals hanging out there during the day in broad daylight. Sorry to burst your bubble but the majority of people that I see there every morning are, like myself, born here of many generations. 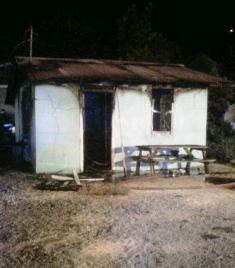 Sad for the loss of the house but very thankful that no one was inside and got hurt at the time of the fire.